Recent August storms packing record downpours have pushed lake and river levels well into flood levels, tossed debris into waterways and accelerated currents in many areas of southern Wisconsin. This has pompted Wis. Department of Natural Resources officials to remind all water users to think safety by checking local water conditions and always wear a life jacket when on the water. Capt. April Dombrowski, head of the DNR Bureau of Law Enforcement’s Recreation Safety and Outdoor Skills Section, says the heavy rain and rapid onset of flash floods in western Dane County and beyond in southern Wisconsin has resulted in road wash-out, closures and sinkholes. In addition to the roadway issues, it can have a major impact on your water-based recreational activities. Dombrowski says this severe weather is a reminder for all to check your local water conditions before boating or paddling, swimming or any water activity. Good places to check are local tourism offices, local bait shops, sporting goods stores or the U.S. Geological Survey, too. Some of these storms and heavy rains have pushed trees and other debris in the water which creates another danger to keep watch. High water levels also increases the shoreline and erosion impacts of your boat wake. Some areas in Dane County have implemented lake-wide slow-no-wake requirements. Remember to always be aware of your boat wake and impact on others and check the signage prior to launching, Dombrowski says. Make a float plan, follow that plan – and let someone know where you are going. Always wear a life jacket. 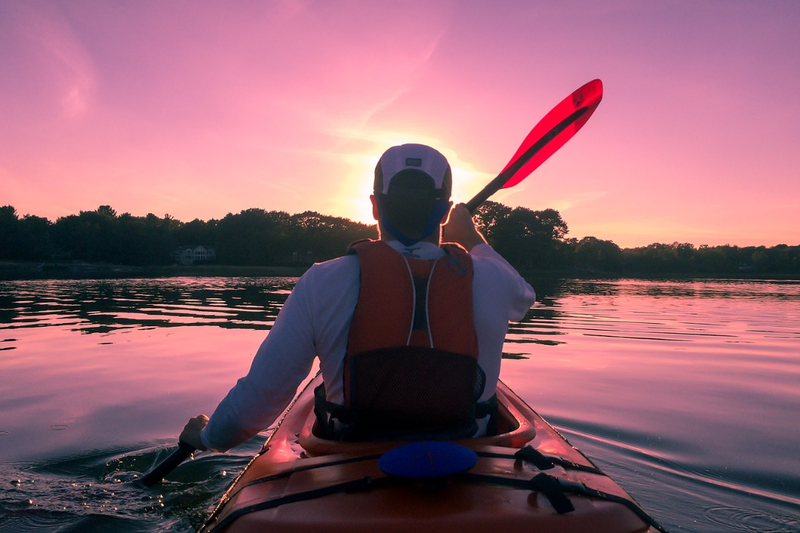 All people in either canoe or kayak are required by law to have a wearable paddling on board. Match your skill level to water and weather conditions. Take a paddling and hone your skills. Everyone born on or after January 1, 1989 must have completed a boating safety course to operate a motorboat (unless ages 10-15 and accompanied by a parent or guardian). You can take an paddling. Do not overload your vessel. Place belongings and dry clothing in a wet sack or other waterproof container. Another top tip is to remain sober while operating your boat or paddling. Hold off on consuming alcohol until after your recreational boating outing. Wisconsin has many popular lakes and rivers that attract many users for all sorts of water activities. And with all the users comes boat congestion and unintended user conflicts. For all water recreational enthusiasts to have a safe and enjoyable outing, it’s important to slow down, use common sense and respect other users on the waters.